There are over three million active facebook pages, and these pages are gaining millions of new fans every day. Yes, I just said fans. Although the button has changed from “Become a fan” to “Like,” the action of joining a brands page remains the same. Facebook pages are still fan pages. With Facebook’s announcement of The New Messaging there are more reasons to like Facebook, and Facebook pages, than ever. I hope you enjoy this post about 50 Ways to Get More People to “Like” your Facebook Page, and if you do I would really appreciate it if you share these tips with your friends, and join theProHackingTricks fan page. Post a status update mentioning your facebook page. Don’t be afraid to outright ask people to join your facebook page. Ask and you shall receive. If you host (or attend) an event with several of your fans take a bunch of pictures, post them to your page, and then ask your friends to tag themselves in the pictures. If you can get your fans to upload pictures to your page, or tag themselves in pictures you uploaded, this will post to their walls as well and will lead to additional traffic for you. Using some static fbml you can create a dynamic facebook landing page with a “reveal tab” that contains content that is visible only to fans of your page. 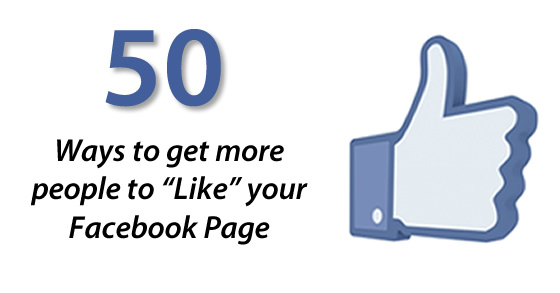 The more valuable your incentive is, the more people will be compelled to click the “Like” button to access it. Examples of exclusive content could be: An exclusive Video, an exclusive whitepaper/.pdf, exclusive pictures. The image below shows different levels of increasing effectiveness for acquiring new fans. 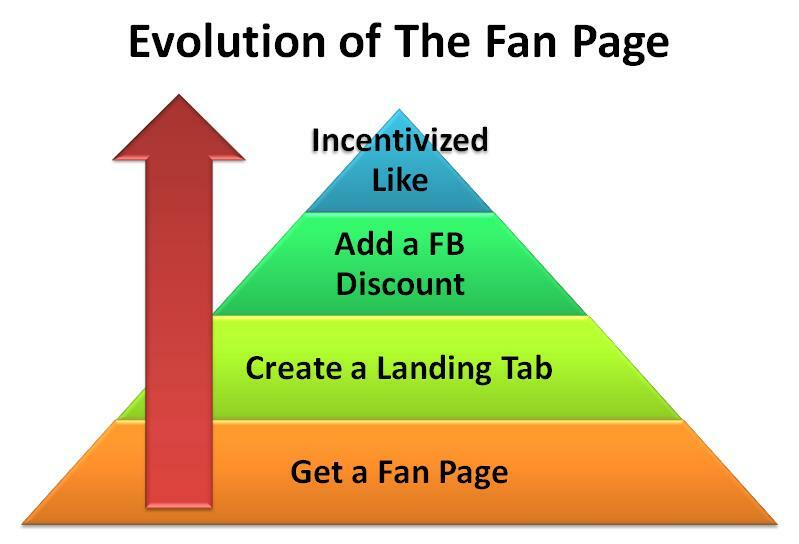 Involver offers apps (and several of them are totally free) that make it easy to create a “Fan Gate” containing incentives, like a file or coupon, that will cause more people to “Like” your page. If you contact the admin of a facebook group with some valuable content that adds value to their readers then this can help them nurture their community and help you build yours. Send a text message to 32665 (FBOOK) with the words “fan yourusername” OR “like yourusername” (without the quotes). This feature is ideal when you’re in front of a live audience. Facebook Badges are a simple, yet effective way to link to your facebook profile. Unlike widgets, badges are simply images, and will load much faster. Installing a “Like Box” is an excellent way to allow visitors to your site become fans without even leaving your page. The like box builder tool makes it easy to customize the size of your like box, the number of connections to display, and even the color scheme. Shown in the image below is the rarely used “dark” color scheme. Status tagging is a cool and fairly new feature of facebook. This feature allows you to tag any page or person by entering the @ sign and then typing the name of the page or person you want to tag. Use the “suggest to friends” feature of your page. Use this feature sparingly. Personally, I try to only invite people go my page once because I know it annoys me when multiple people invite me. If you have many friends you might want to consider using the “invite all” Google chrome extension, rather than clicking hundreds or thousands of times. Installing a like button allows visitors to like your page, and when they do this posts the their activity stream. This can send more traffic to your site and if you have a facebook “Like Box” and other content promotion your fan page, since this will help you convert your visitors into fans. 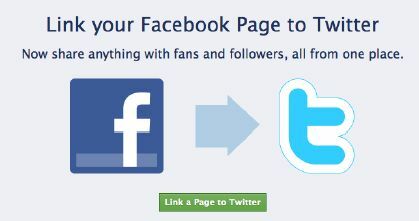 Connecting your page to Twitter is an excellent way to convert your twitter followers into facebook fans. Using this strategy will cause all of your posts to be sent to twitter, with a link back to the facebook version of the post. The info box uner profile pictures is being phased out, so now if you want an omnipotent link on your profile to your page you will need to list your Page under employment. Once you do this your Facebook Page will appear under your name on your Profile. This will allow people to comment on your page, even if they are not a fan. Any comments made can broadcast to news feeds and lead to more traffic to your page. Setting up facebook commenting requires registering a facebook application, so act on this tip with caution unless you are comfortable with code. Since facebook is so widespread you can use any forms of traditional media and achieve results. Newspapers, Media Buys, Radio, and TV all work, but are often very costly. To maximize your promotion offer a free gift to those who join you page. Every email you send is an opportunity to link to your facebook page.